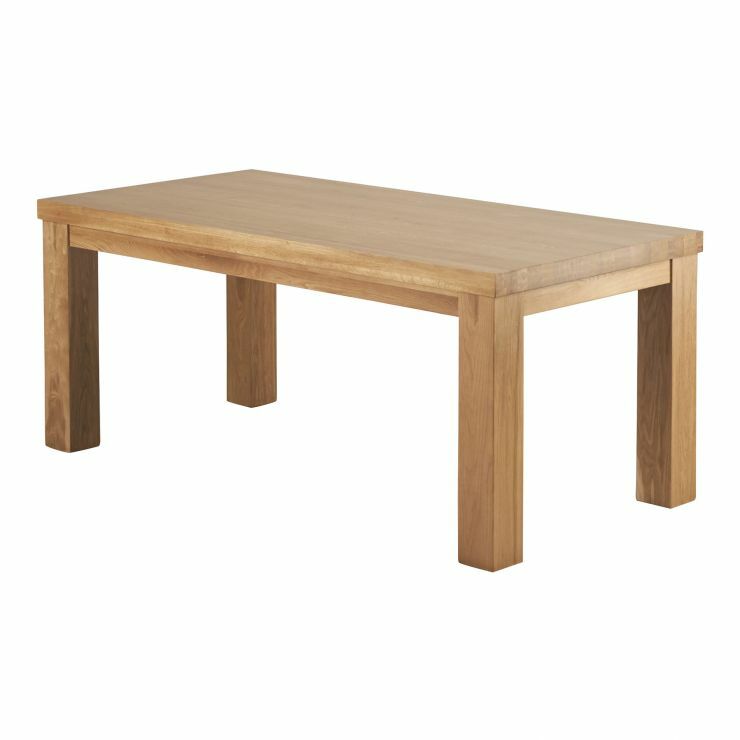 Ideal for those that regularly entertain, the Fresco Natural Solid Oak 6ft x 3ft Dining Table is the perfect centrepiece for your dinner parties and special occasions. This charmingly chunky table will comfortably seat between 4 - 8 people, and provides further evidence that a "less is more" approach with a minimalist design can work wonders when the natural beauty and quality of the oak is of such a high standard. 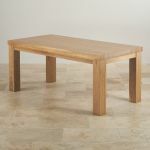 The table is handcrafted using only A-grade solid oak with no chipboard or veneers ever used in any of our products. 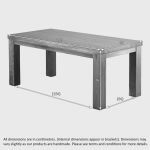 Designed to seamlessly complement the rest of the Fresco range, be sure to browse the full range for co-ordinating furniture. The piece is simply finished with a light furniture wax to protect, nourish and further accentuate the natural beauty of the grain of the oak.